CATHARSIS: Am I Really Doing This? In honor of Spring and everything new and fresh, I'd like to share some exciting (or is it anxiety-inducing?) news! No, I'm not pregnant although the amount of nausea I'm feeling might make you think that. 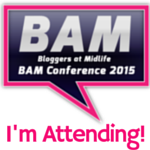 I'm attending my very first blogging conference this weekend! 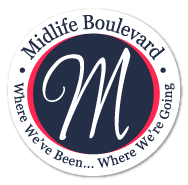 It's the Bloggers At Midlife (BAM) Conference 2015 and it'll be held right here in Nashville, at the Gaylord Opryland Hotel to be exact. It's my first time attending a blogging conference, hence the nauseating anxiety. It's also the BAM's very first time hosting a conference so in a way it's great that I'm not the only 'virgin' when it comes to these things. I had promised myself since mid-2014 that I will dare myself to push some of my boundaries. It started with joining a few more bloggers'/writers' groups to challenge myself more in the area of writing. And then the biggest leap of all last year was my contacting Arianna Huffington directly to pitch a blog post which then opened the door for me as far as being a Huffington Post contributor (note: not 'employee'). At that point, it truly became clear to me that it pays to take risks and push oneself if you want growth. So, here I am daring myself once more to be in a big room full of 'strangers'. I've only met some of the other attendees virtually, none physically and I am terrified of looking stupid, feeling stupid, isolated and lost. These are my fears and though I know they will surely accompany me this weekend, I am hoping they will be balanced by my optimism that these women all seem friendly, down to earth and that some of them are just like me—introverted, slightly awkward and are over-thinkers. I've been told those are fairly common qualities among writers. So, wish me luck! Keep me in your prayers and kindly send me all the good vibes you can! Better yet, if you've attended blogging conferences before, how about sharing with me some survival tips! I surely need them. I promise to give you the scoop on my next blog post, that is, if I survive the whole thing without blacking out. This is my first conference also!! Come say HI! Tips from a veteran conference attendee and presenter: 1) Get out and about as you will meet many wonderful people all with similar goals. 2) bring your laptop and charger to sessions to take notes, tweet highlights, jot down blog post ideas. Also bring a pad and pen just in case 3) Go to the expo and try the products and services. Interact with the sellers. You will have fun there! 4) Have biz cards and dole those babies out! Looking forward to meeting you! Joy, I'm so glad you're coming to BAM! 4 years ago I went to my first blogging conference - BlogHer in NYC - and there were 5000 people. We will have around 100 at BAM. I am certain you'll find lots of friendly faces - including mine! See you there. OMG, 5k? Now THAT'S huge! I'm so glad this is a more intimate gathering, Sharon and THANK YOU so much for leading this! See you in a few! Joy I am soooooo proud of you and sooooo excited for you too!!!! I know you are going to have a ball!!!!!! And learn so much! I can't wait to hear all about it!!! It will be my first conference as well! I am really looking forward to meeting you in person! You're going to have such a great time! I can't tell you how much I wish I was attending, but it was just too far for me to get there this year. Can't wait to hear all about it! Great thought, Alicia. We're all in this together! As for the looking, well, as I recall from reading your blog, people will probably look cos of how well put together you are and the joy you exude! Share some of that confidence with me, okay? Can't wait to meet you in person!! Wish I was going, but it didn't work this time. 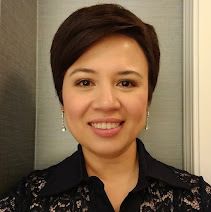 I'm a BlogHer veteran and have met great people, including some of the people who will be at this event. Have a wonderful time. I loved this post, and shared it in my Saturday Spotlight Series this week. I'm sure everyone will have been glad to have the chance to meet you at BAM! Fantastic! Can't wait to hear more. I'm delighted that we talked at BAM. Keep blogging. We're reading. It was great to meet you this past weekend! I've been reading through some your posts; you're a great writer!